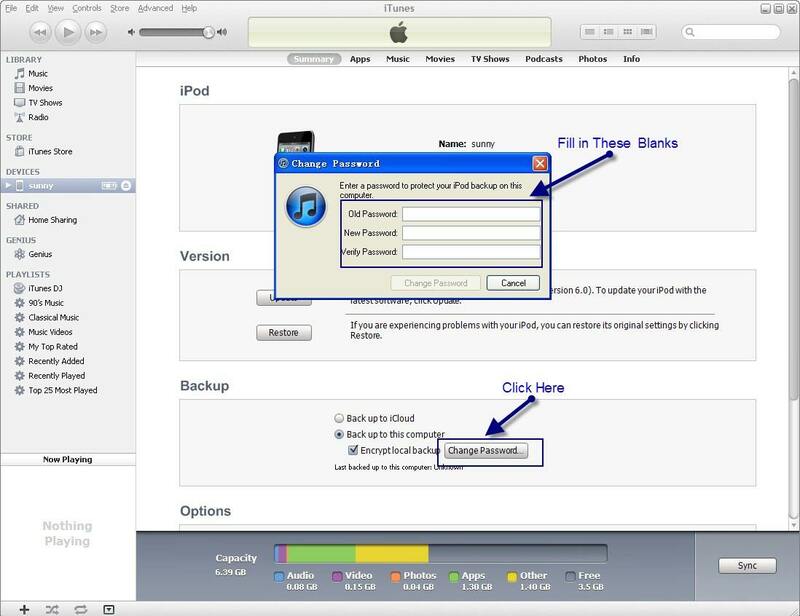 It's easy to back up your iPhone, iPad, or iPod touch using iTunes. And to protect personal and confidential information, Apple allows us to set password for the backup files. In this way you could be sure that all photos and video in the Camera Roll; Mail, Contacts, Calendar; app data; Messages and more are safe in the backup files of our computer. But this gives us another problem: What if want to reset iPhone backup password or you forgot password for backing up iPhone and have to reset it? Actually it is very simple. Let me show you how to do it. 2. On the left of the interface find "DEVICES" and move your mouse to that place. Left click your own device and you will get the interface below. 3. Click "Change Password" and fill in all the blanks in the popup window to reset iPhone backup password. In this case you have to find the lost password first and then do as what I told in part one. To find the lost iPhone backup password we have nothing to do but use a third party program. 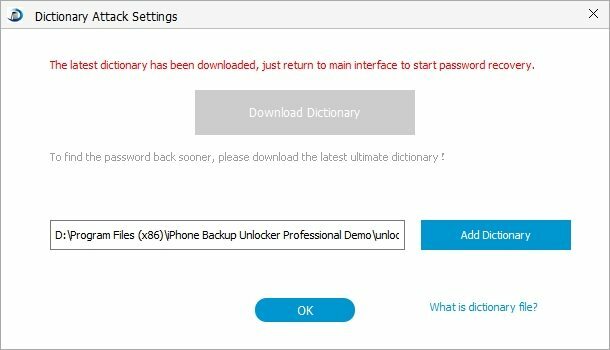 The most easy to use and efficient one I found is iPhone Backup Password Reset, a professional program specially designed for users to find their lost or forgotten iPhone backup password. The program surprises me by its speedy decryption speed. I chose the dictionary attack and it successfully recovered my password in just a few minutes. Here is how I use the program. Click "Add" and the program will automatically help you locate and import the destination file. What you need to do is a few clicks to finish the importing. 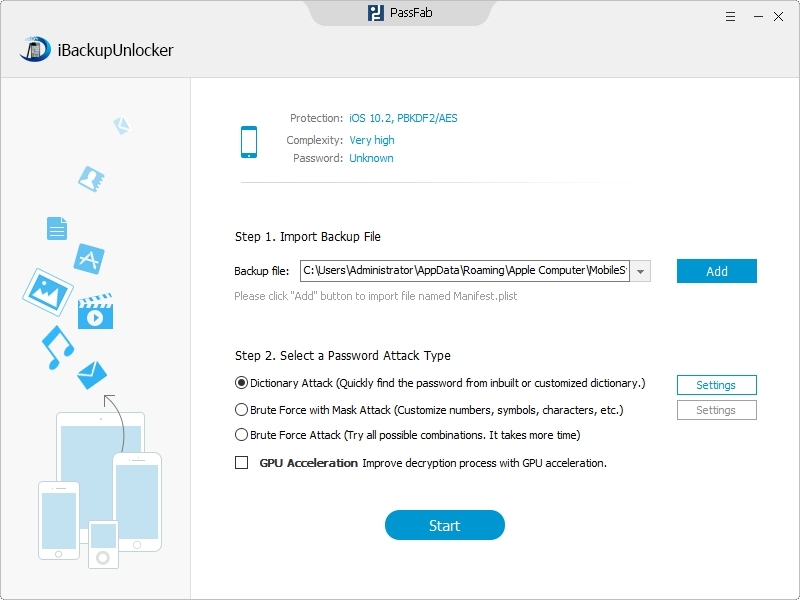 You have three types of attacks to choose for the program to reset iPhone backup password, namely Brute-force Attack, Brute-force with Mask Attack and Dictionary Attack. Don't forget do define the attack type you choose after selecting an attack type. For example, if you want to use the Dictionary Attack the steps to operate are shown in the following pictures. This picture shows how to define the Dictionary Attack. All goes well, you will get your password in only a few minutes and then you could use it to reset iPhone backup password as I told in part one. And this program could be a good helper for a lot of iOS products like iPad, iPod touch.